Have a look at the streaming video here: http://www.shesydney.com/video/Rooftop_Party_Soul%20Central_Jan%2006.wmv what a party! 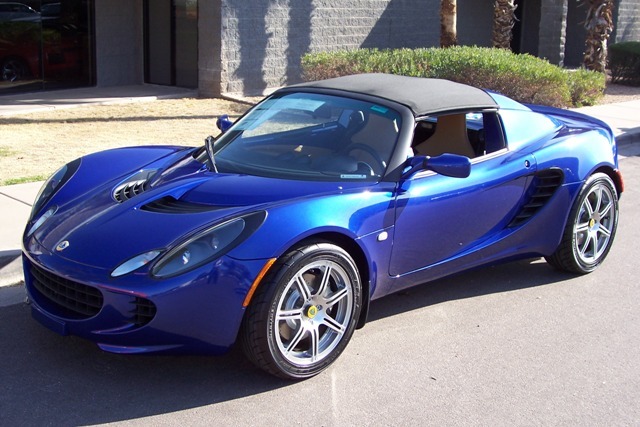 the Elise 111R in ‘Magnetic Blue’? The drive down from Christown to Wanaka in the South island. It was a 6 hour drive in our little Red Ford Focus which was not a bad little car at all to drive. This is the ski resort called Cadrona and the locals call it flat white, you can see why. After a hard days boarding I found that Chilli beer warmed me back up again. This little baby is the HOTTEST chilli sauce i’ve had in my LIFE! Im a big fan of chilli sauces but this stuff is just pain in a bottle! When I got back to Sydney I ordered a bottle ASAP from www.deathsauce.com.au. They even say you have to sign a disclaimer because of the damage with misuse it could do before they will compete the order hahaha, oh it hurts! The lake in Wanaka. Wanaka sits on the edge of a huge and very cold lake. The middle of the lake is hundreds of meters deep, some of the deepest lakes in the world are in the area. On the 3rd day it was raining on and off so we deceided to visit Queenstown which is the only city in the South of the South island of NZ. This was a pretty little stream that runs under most of the city. They say city but it really was tiny and hardly many people around either. The main Mall! and its heaving with people!! The same stream again in the center of the city, the whole climate, tree’s e.t.c remind me so much of north Wales. Ah the happy couple in Queenstown. As you can see its the smallest city i’ve ever seen. All the buildings are nestled aroudn whatever flattish land they can build on. At the top of the peak on the left is where the famous sport Bungy was invented. Mr A J Hackett threw himself off the peak with some rubber attached to his legs years ago and invented the sport. Now in Queenstown there are about 3 bungy sites to choose from and tourists doing it all the time. You can see from looking down on some of the hills where some of the landscapes from the Lord of the Rings was filmed in this area. It looks like Bilbo Baggin’s could jump out from one of the hills in the distance. Day 4 and we went over to Treble Cone ski resort which is aimed more to intermediates and advanced with only 2 Green (beginner) runs on the mountain. This sign marks the beginning of the very long and windy gravel track up to the ski resort at the top of the mountain. Very different from skiing in europe where the village is just below the pistes. After a few runs to explore the mountain we caught a chair lift to the highest we could get to, then walked the last couple of hundred meters vertical which took 20 minutes up to the summit at 2100 meters. We carried all our equipment up with us so we skied/boarded from the summit down the side of the mountain back to the pistes below. Amazing views from the summit looking down on other mountains. Day 5 and we went back to Cadronna ski resort for the ‘Cadronna Coke Cola games’ bascally lots of ski and snowboard races and competitions over 3 days with lots of CRAZY people jumping motorbikes and skimobiles in the snow, the skimobiles jumping were pretty impressive. Sanna wants this dog to be a Proplan fed doggie but it definatly says Hills science diet on his tummy badge. and they pull absolutly everything to bits! foam padding, windscreen wipers, anything manmade they can get there beaks into. They do a lot of damage to peoples cars sometimes. This was the beginning of our walk up and around Diamond lake on our last day, the landscape was beautiful it was a nice change after 5 days of solid sking and boarding although there were some really steep climbs involved. This is Diamond lake and it was so dark a mystical looking, it was also freezing! Absolutely stunning scenery from the top of this walk! a 4 hour flight later and were back in good old Sydney, ah home sweet home. Well this is it im starting writing my own blog, my online diary if you will, so lets get on with it 🙂 Many times i’ve thought about writing my own online blog as a kind of easy to update online diary of my life and with the added benefit of using it as a kind of dated and easy to look at photo album too, hey you may even see the odd movie pop up now and then. The whole idea of starting up a blog came about quite easily. Writing emails back to my family and my friends in England to tell them of your life can be hard to find time to do it. Emails can be such an annoying thing, you want to write a long record of everything you’ve been upto, especally as im having so much fun living in Sydney but once you’ve written out the email and sent it you have to do the same for the next friend you want to stay in contact with, and the next one and the next one e.t.c. So whats the solution? well you can copy and paste the large chunks of email about your life to other emails. This makes you feel cheap that you are basically writing an email and kinda CC’ing every other friend in the world, so you taylor each email more to that friend of yours. Now your nearly back to the frist way of writing an email to everyone you know in the world and taking days to do it grrrrrrr. Blog is short for weblog. A weblog is a journal (or newsletter) that is frequently updated and intended for general public consumption. Blogs generally represent the personality of the author or the Web site. So the whole blog idea, wow, an online diary, I can do all this keeping my friends and family updated on my life in once place and with the software i’ve installed on this websver I just bought, with just a few clicks 🙂 I have to say though the software I installed ‘MovableType’ took me a week to install and about 10 emails back and forth from my web server providers! They even had to contact guys in the States to install Perl modules to get it fully working, coming from a Windows administrator/conultant background that part was beyond me. So here we have it all fully working and capoable of running hundreds of blogs from the one webserver, maybe Sanna will want her own blog one day, who knows.